As we are getting closer to the holidays and people are taking time off from work to spend time with family and friends, there seems to be a common theme among all tile contractors that I have been talking to: everyone is busy and being asked to bid more work. With so many people asking you to complete work before the holidays, are you putting together a bid that will protect you and make sure you get paid for your hard work? This year we added a new NTCA University course on estimating called “Estimating Small Residential Projects.” While this course is geared toward someone bidding a remodel project, the basics apply to any type of project that you’re bidding. For example, are you with the customer when they select their tile or did they purchase it and expect you to install it? Either way, have you accounted for the possibility of additional work based on the tile chosen? Have you taken into consideration the time needed to complete the project versus other work that you have going on? Do you have enough manpower to complete the work? These are just some questions that should be addressed when putting together your bid. After all, would you rather be a little higher in your bid and make money, or be the low bid and not make any money on a project? Next year we will introduce a new estimating course that will look at bigger projects, including new residential and light commercial. This course will go through the entire process to properly prepare a bid, and it will look at several obstacles to consider when putting your bid together. Since this new course discusses using plans to create your bid, there will also be a new course on using plans for estimating. 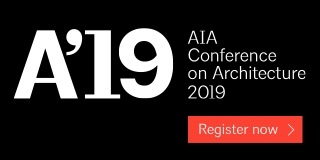 Both courses are designed to teach the contractor how to create a bid that encompasses all costs, including added time spent estimating complicated projects to ensure contractors aren’t left with debt after the project is complete. To purchase your subscription to NTCA University, visit the NTCA store at https://tile-assn.site-ym.com/store/ListProducts.aspx?catid=490398 or http://bit.ly/2taYmOO to make your selection. If you have any questions or ideas for courses that we should have available, please give me a call at 770-366-2566 or send an email to [email protected]. Wow, I can’t believe that Total Solutions Plus was October and we will soon be into the holidays! In case you weren’t able to make it to our Training and Education Committee or Board meetings, I wanted to update you on some things that I have been working on. As you have been reading in these articles, the online Tile Finisher courses are complete, and I am still developing the Tile Setter courses. Over the summer, NTCA staff met with the Department of Labor to discuss apprenticeship programs. Based on this discussion, we have decided to pursue Tile Finisher and Tile Setter Apprenticeship Programs where we will be the sponsor. This means that our members can be under the NTCA umbrella and use our Apprenticeship Program. It is a long process to get everything submitted and approved. As we get further along in the process, I will continue to update members. And as we get closer to approval, I will be able to provide more details about how members can use our program and what they would be responsible to document. While we get the apprenticeship programs set up, we also need to take a look at ways to recruit people into the industry. This could include going to high schools, career fairs, or even promoting the industry online. Many members have started reaching out to their local high schools and offering to teach some basics on tile installations to high school students so that they understand there are career opportunities in our industry and that this art can’t be taught in a couple of hours. Based on outreach efforts of our members, we are working on a curriculum that could be used to teach a four-week or one-semester course. Once we have finalized the curriculum, we will be making an announcement to our members. Earlier this year we introduced a new recruitment video (See it at https://bit.ly/2xpx9wE) that can be used by members or posted to member sites to promote careers in the tile industry. We will be following this up with additional recruitment material including literature that members can use when they are in front of potential candidates, as well as a recruitment video dedicated to women that set tile. As you have read, there is a lot going on. And most of my work cannot be done without the help of our great members. So, if you are able to assist with writing scripts for online courses, providing videos for online courses, or know of female tile setters, please email [email protected] or call me at 770-366-2566. 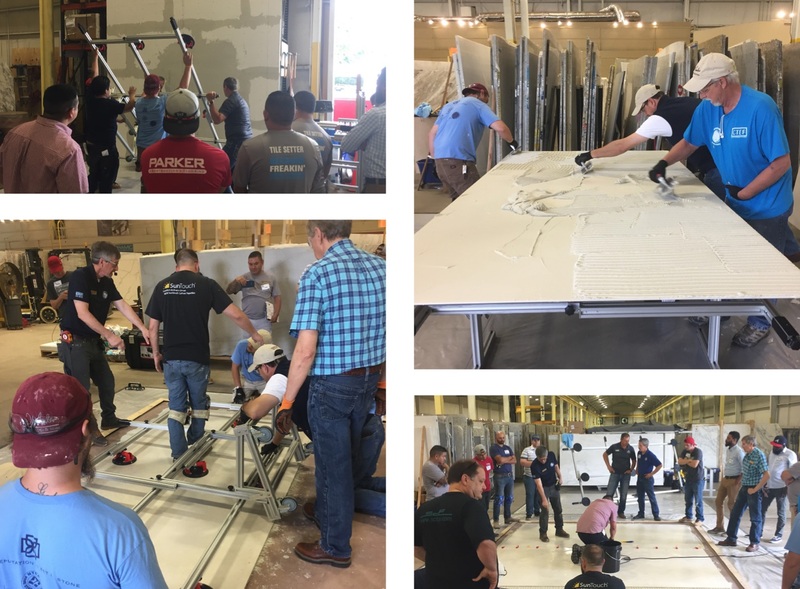 NTCA trainers Mark Heinlein and Robb Roderick presented an Introduction to Tile Standards at Coverings17. 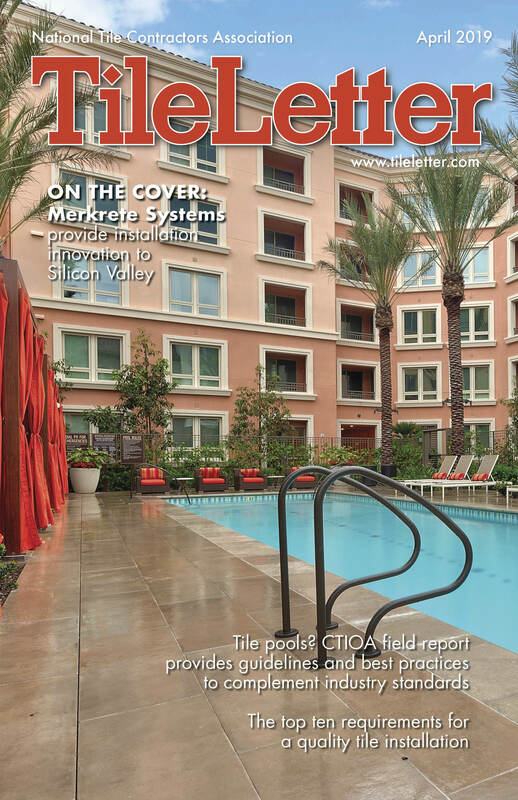 It was an in-depth look at all of the ANSI standards associated with the tile industry. 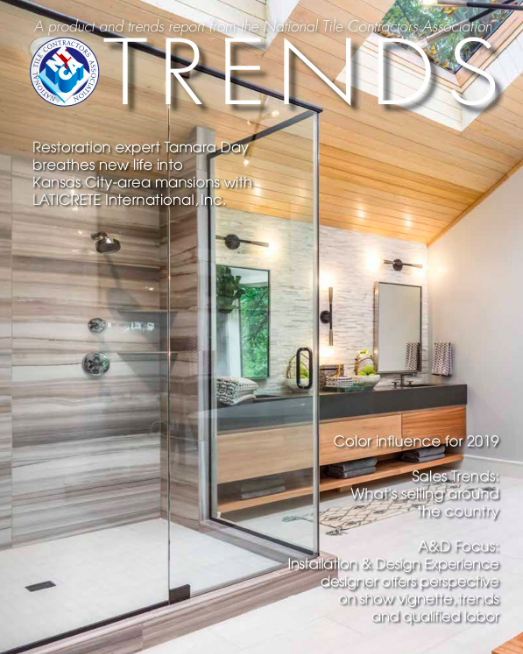 They also discussed TCNA, including the handbook, NTCA, including the NTCA Reference Manual, and they reviewed other standards and building codes that affect a tile installation. There are currently two courses covering the ANSI book: Introduction to ANSI A108.01 and Introduction to ANSI A108.02. Neither course reviews word for word all of the information found in each standard, but both courses highlight the type of information that can be found there. The idea is that these courses will get learners to open the ANSI book to understand the type of information that these standards contain and to comprehend the basic requirements for tile installations. There are also two courses available on the TCNA Handbook. The first course is TCNA Handbook Specifications Section. This course focuses on the information found in the section titled Using the TCNA Handbook for Specification Writing. 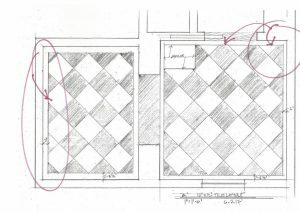 This course uses actual methods in the Handbook to show where tile setters can find and use information from components of an installation method. While the course is mainly focused on this area, it does review all items found in this section of the actual book. The second course is How to Find/Use TCNA Handbook Methods. Many Handbook users state that it is difficult to find the method they want to use. This course reviews information available in a method number, why methods don’t always appear numerically, and different ways that you can search for methods within the Handbook. Even though all of these courses are recommended for the start of a tile setter’s career, anyone that has been in the industry will benefit from taking these courses, especially if they feel intimidated by the books and never open them. Also, these courses could be taken by someone who is planning to take the Certified Tile Installer (CTI) test. These courses are a good way to get someone to open each publication and explore the type of information that is available. To purchase your subscription to NTCA University, visit the NTCA store at https://tile-assn.site-ym.com/store/ListProducts.aspx?catid=490398 or http://bit.ly/2taYmOO to make your selection. If you have any questions or ideas for courses that we should offer, please give me a call at 770-366-2566 or send an email to [email protected]. W2 or 1099 worker classification: which will you choose and why? Based on conversations that I am having with members, it sounds like everyone is really busy. This often means that you are competing with other tile contractors to keep your employees. In fact, one of the biggest issues in our industry today is business owners who employ W2 workers competing to keep them, compared with those who employ 1099 workers. To that end, NTCA University developed a course to educate the employee on the differences of being a W2 or 1099 worker. I don’t know of a single employee who would quickly say no to a job offer elsewhere for more money and equal work without at least taking time to consider the offer. Unfortunately, in the construction industry, higher pay does not always mean that all things are equal. Hopefully, you have employees that value your opinion and would let you have the opportunity to explain or make a counter offer instead of just sending a text or calling to say “I quit.” Before it gets to this point, you should have your employees take the NTCA University course to learn the differences between W2 and 1099 workers and the benefits and advantages offered by each situation. For those who employ W2 workers, I recommend sitting down with them before an offer is made and educating them on these differences. Use NTCA University to reinforce the information that you are explaining. This allows your employee to make educated decisions when more pay is dangled in front of them. This isn’t to say that they won’t decide to leave but if they do they will at least understand how their responsibilities will change. The course goes through differences of each employment situation. 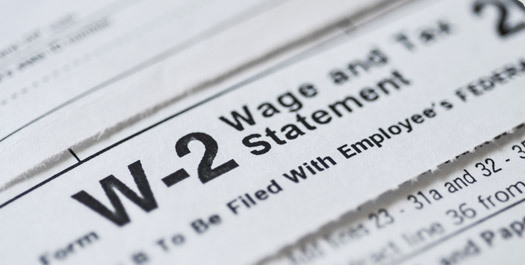 It details the W2 worker benefits and taxes paid by the employer versus the 1099 worker’s responsibility for taxes, insurance, carrying workers compensation and vehicle to get to job sites, etc. The course also talks about how your work is structured as a W2 or a 1099 worker. There are those who prefer to have paid vacation time and a steady paycheck versus those who want to pick and choose when they work. W2 and 1099 workers are apples and oranges – they aren’t comparable or equal. One needs to look at the whole package offered by each company to decide what is best for them in the long run. 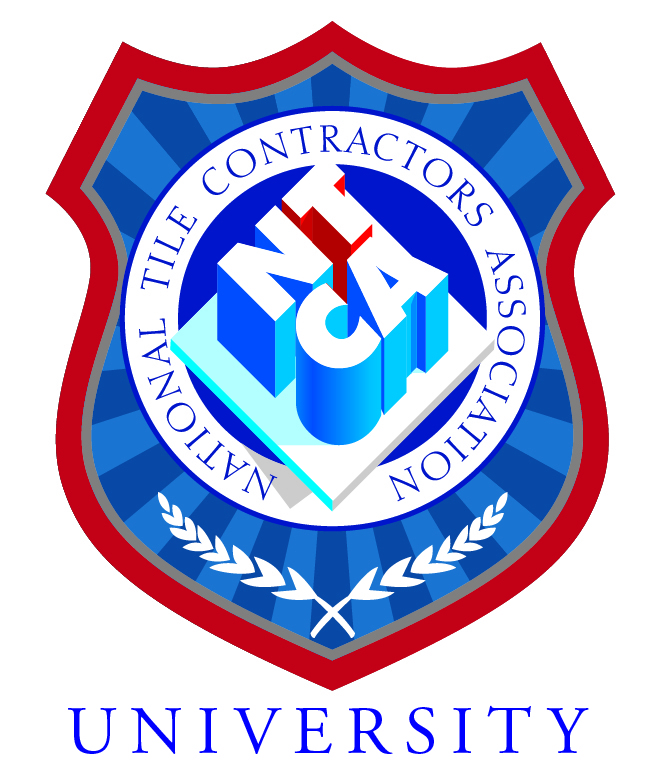 To purchase your subscription to NTCA University, you can visit the NTCA store at https://tile-assn.site-ym.com/store/ListProducts.aspx?catid=490398 or http://bit.ly/2taYmOO. If you have any questions or ideas about courses that we should have available, please give me a call or send me an email: 770-366-2566 or [email protected]. If you attended Coverings this year, you may have noticed a common theme was the desire/need for education. So it should come as no surprise that I get a chance to talk with a lot of new members about education and training opportunities available through NTCA. Obviously, my first discussion item is NTCA University. The follow up question I often get is: “How can I use it in my company?” So, I wanted to take some time to review what other members are already doing so that you can use this information to help develop a program that is best for your company. The first thing that most contractors need to decide is if they want a Department of Labor (DOL) approved apprenticeship program. Even though NTCA University can be used as related content for an apprenticeship program, currently, the NTCA is not an actual DOL program provider. This means that if your company benefits from an approved apprenticeship program such as prevailing-wage projects, utilizing your state’s workforce commission to assist in finding workers or potentially utilizing a pre-apprenticeship program, or applying for and utilizing grant money to offset training costs, then you will need to work with your state DOL to apply for and register your training program. Currently, we have members who are utilizing pre-apprenticeship and apprenticeship programs. Members who have a pre-apprenticeship program work with local technical schools or workforce commissions to educate potential new hires. At the end of the program, contractor members offer apprenticeship programs within their companies to students they want to hire. Other members hire new employees directly into their apprenticeship program. 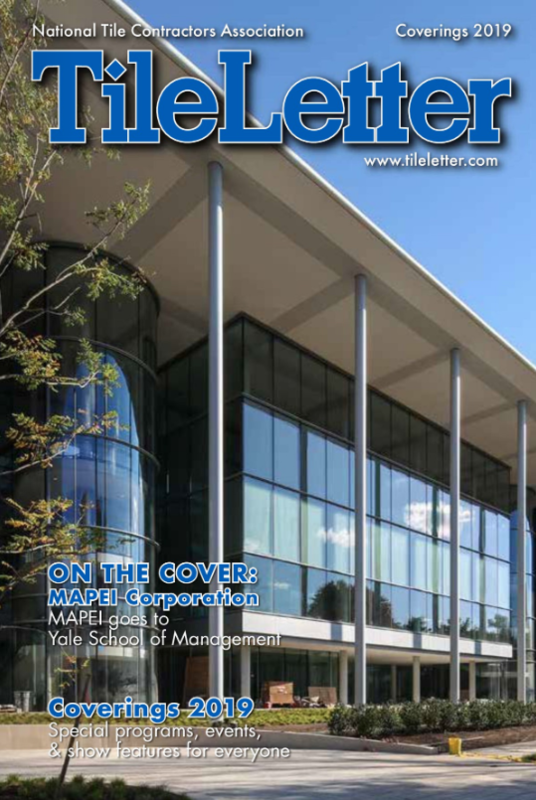 We even have members in one region coming together to build a regional apprenticeship program and sharing the cost and training of the apprentices (See this month’s Training & Education story for details). If you don’t think your company would benefit from a DOL-approved program, then you can always use NTCA University to supplement on-the-job learning. Let’s face it, once you are on the job for awhile, it’s easy to develop bad habits that shouldn’t be passed on to a new hire. These courses were developed referencing industry standards and best practices and may be taken by individual employees during or outside of the work day. This means that you can view courses in a group setting and discuss what was learned, or you can allow the individual to take courses and then follow up later to discuss what was learned. Remember there isn’t just one way to train your staff or one program to employ. NTCA University was designed so that you can create a program that best fits your company’s needs. Do you already have a training program in place? Please email me at [email protected] or call me at 770-366-2566 and let me know what you are doing. Members are always looking for new and/or different ideas they may be able to incorporate into their company. Remember this is an association for the contractor, and developing the next generation of tile setters is important to all of us. When we first started to develop NTCA University, I reached out to several contractors for feedback on courses that their company needed. Several contractors asked for courses on how to use the ANSI standards and TCNA Handbook. As we started to develop courses for new tile setters, these were near the top of the list as required courses. Courses on both topics were recently added to NTCA University. There are currently two courses covering the ANSI book: Introduction to ANSI A108.01 and Introduction to ANSI A108.02. Neither course reviews word for word all of the information found in each standard, but both courses highlight the type of information that can be found there. 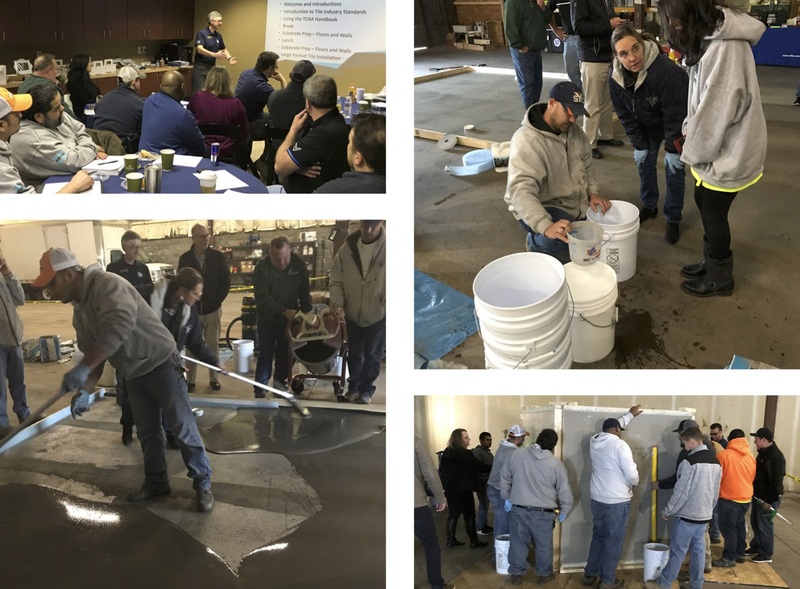 We are hoping that these courses will get learners to understand the type of information that these standards contain and get them to open the ANSI book to see all of the information that is useful to every tile installation. the TCNA Handbook for Specification Writing, pages 48 – 50 of the 2017 edition. This course uses actual methods in the Handbook to show where the information from components of an installation method can be found and used by the tile setter. While the course is mainly focused on this area, it does review all items found in this section of the actual book. The second course is How to Find/Use TCNA Handbook Methods. Many people have told me that it is difficult to find the method they want to use. In this course, we review what information is available in a method number, why methods don’t always appear numerically, and different ways that you can search for methods within the Handbook.